3ft. 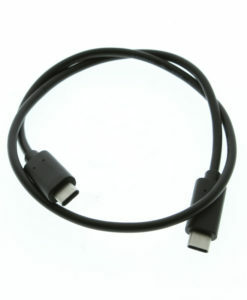 USB 3.0 A to Micro-B Cable enables a SuperSpeed connection between computers and devices with USB 3.0 capabilities. Users can transfer data at speeds of up to 5Gbps for backup, video streaming, or other high speed devices. Fully compliant with USB 3.0 specifications up to 5Gbps data speed. Close 3ft connection, no cable tangles. 3ft. USB 3.0 A to Micro-B SuperSpeed Cable enables its users to transfer data at speeds of up to 5Gbps with the latest PC’s or Laptops using USB 3.0 SuperSpeed technology. This A to Micro-B 3ft. device cable enables a type “A” connection at the host computer to communicate with a USB 3.0 device using Micro-B technology. The 3ft. USB 3.0 A to Micro-B SuperSpeed cable puts efficiency and 5Gbps of data speed at your finger tips. Enable your new USB 3.0 technology and equipment to start streaming HD videos or improve industrial security where cameras using data streams are a must. USB 3.0 SuperSpeed cables help to open up the possibilities of data transfer at up to 10 times faster than some of today’s USB 2.0 technology still being used.